Posted on 23rd August 2018 at 17:50. 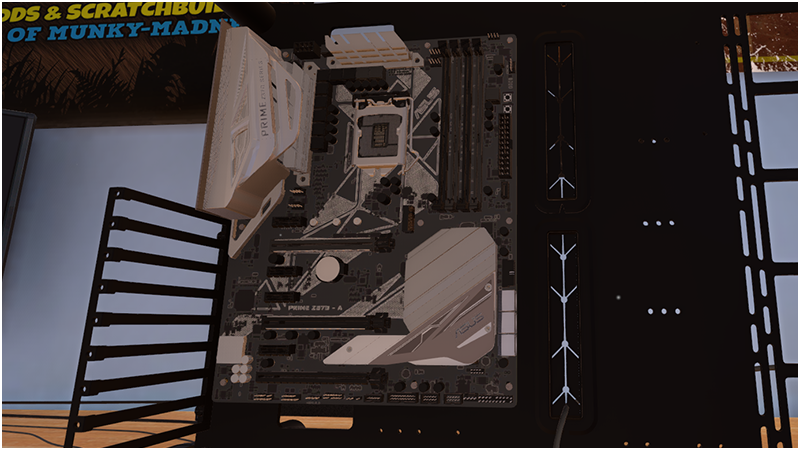 The day everyone has been waiting for has finally arrived, ASUS officially joins the PC Building Simulator family with a whole batch of parts that are included in this update with more to follow in the future. 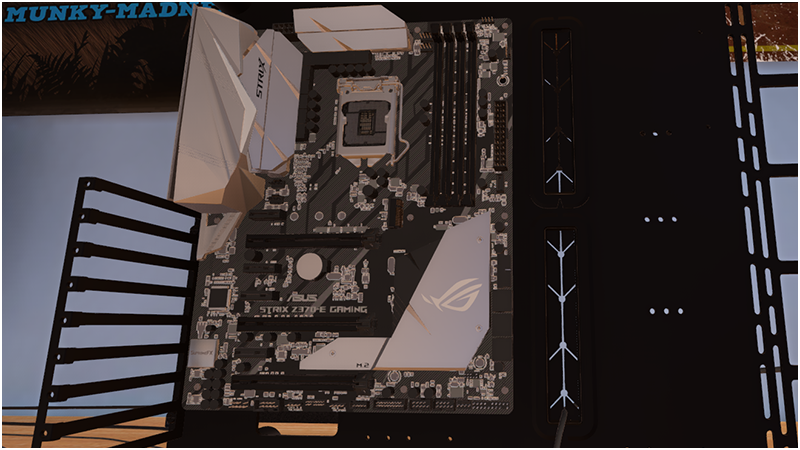 New Motherboards: ASUS ROG Maximus X Formula (23), ROG Strix X470-I Gaming (17), ROG Maximus X Apex (23), ROG Strix Z370-E Gaming (15), PRIME Z370-A (15), ROG Strix Z370-I Gaming (15), ROG Maximus X Hero (Wi-Fi AC) (23) & ROG Strix Z370-G Gaming (Wi-Fi AC) (15). New GPUs: ASUS ROG Strix GeForce GTX 1080 Ti OC Edition (24), ROG Strix Radeon RX570 OC Edition (23), Expedition Radeon RX 570 OC Edition (23), ROG Strix Radeon RX 560 OC Edition (23), Radeon RX 560 (23), ROG Strix GeForce GTX 1070 Ti Advanced Edition (24), ROG Strix GeForce GTX 1080 OC Edition (24), ROG Strix GeForce GTX 1070 OC Edition (24), ROG Strix GeForce GTX 1060 OC Edition (24), ROG Strix RX VEGA64 OC Edition (23), AREZ Strix Radeon RX VEGA56 OC Edition (23), AREZ Strix Radeon RX 580 (23) & Dual Series Radeon RX 580 OC Edition (23). New CPU: Intel Core i7-8086K (22). New RAM: CORSAIR VENGEANCE RGB PRO (22). New SSD: CORSAIR Force Series – LE200 (14). New AIO CPU Cooler: CORSAIR H80i v2 (25). Added ASUS bios to support their motherboards. 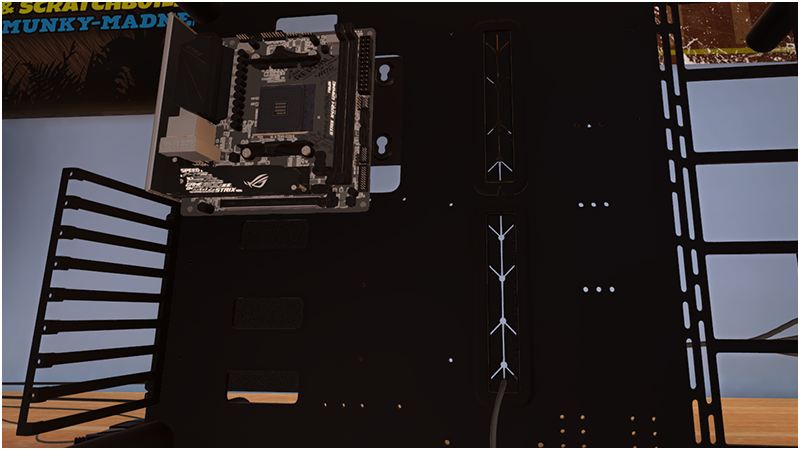 Updated assets for the MSI bios. Updated assets for Gigabyte bios. Updated assets for EVGA bios. Added the ability to increase/decrease GPU Tuner settings by one via the + / – controls in the application for finer control. Added lighting information for Case Fans in the shop. Added chipset type to Motherboard information in the shop. Fixed an issue that could cause job computers to be generated that didn’t have enough power connections for dual GPUs. Fixed an issue with the rear of some TR4 socket brackets being transparent. Fixed an issue with the bios keybind prompts being out of alignment in Simplified Chinese. Updated the games Windows icon to make it clearer. Updated game splash screen to include ASUS. More CPUs: One of our top requests is to add i9 CPUs and they are coming, we need to ensure we have socket 2066 motherboards ready for use before they can be included though. The new 2nd Generation Threadrippers will also get added in the near future once we have the correct benchmarking data for them. Custom Water Cooling: This work is still ongoing, once we have it ready in a form that can be properly playtested we will get it in your hands for feedback. We look forward to seeing your new ASUS builds! werden auch die neuen nvidia RTX Grafikkarten in das spiel eingebunden? 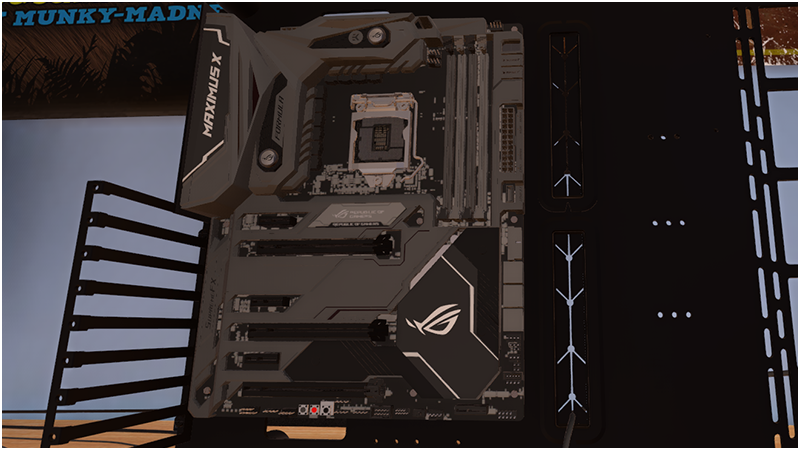 Thank god you finally added Asus products to this game. Please, can you add Italian language in game???? Would you please consider some classical parts? Say, something like 3rd,4th and 5th generation of Intel Core CPU (i5-3470,E3-1230 V3…)and 6th,7th generation of nvidia graphics cards(gtx650 660 760…).Oh yes, Intel-Xeon CPU and AMD-APU is also attracting. thx for the game . thermaltake coming soon ? Can you add NVIDIA RTX 20 Series and the Titan Series in the near future? Lol RTX’s and i9’s one day I hope, also a bitcoin mining part to this game would pique my interest even further. AsRock, BeQuiet, Enermax, GSkill, Samsung? Hi . Can you add persian language in game ? One of our top requests is to add i9 CPUs and they are coming, we need to ensure we have socket 2066 motherboards ready for use before they can be included though. can you add bitcoin mining, more gpus to mobo and maybe haswell cpus ? also i think cpu overclocking is kinda broken, cannot oc newer cpus at all that are 4,5ghz+ because add 0.05v or 0.1ghz and instantly temps rise from 60load to 100load. not realistlic even with thermal paste applied and best cpu cooler!